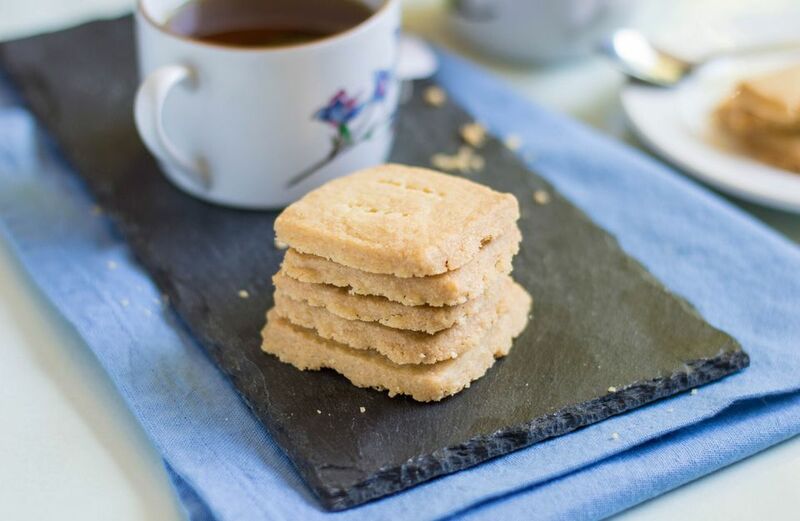 This basic butter shortbread is a simple 3-ingredient cookie, and it is always a hit. Pat the shortbread into the pan(s) or roll it and cut the dough out in squares or circles. The rich buttery cookie can be made in any shape. Dip the cookies into melted chocolate or white chocolate or frost them for a festive holiday treat. Shortbread is typically baked at a low temperature for a longer period of time than most cookies. Heat the oven to 300 F / 150 C / Gas 2. In a mixing bowl with an electric mixer, combine the butter and sugar. Gradually stir flour into the creamed mixture until well blended. Spread or pat the dough in the bottom of an ungreased 13-by-9-by-2-inch baking pan (or use a 9-inch square pan for thicker shortbread). Or, roll the dough out on a lightly floured surface and cut out with round or square cookie cutters. Prick the dough all over with a fork. Bake at 300 F for 30 to 40 minutes, until just lightly browned. Remove from oven and immediately pierce all over with a fork. Cut into bars. Cool completely before removing from pan. Jazz the cookies up with some chocolate. Melt about 1 cup of semisweet chocolate in the top of a double boiler. Drizzle the melted chocolate over the cookies or dip a corner or half of each cookie into the chocolate. Set the dipped cookies on waxed paper to dry. If desired, sprinkle with finely chopped nuts or finely broken red and white peppermint candies or candy canes. Add 1/2 to 1 teaspoon of vanilla to the creamed mixture before you add the flour. Toasted Pecan Shortbread: Knead about 1/2 cup of finely chopped toasted pecans into the shortbread dough. If desired, dust the finished cooled cookies with sifted powdered sugar. Orange Shortbread: Add 3 tablespoons of finely grated orange zest to the butter and sugar mixture.